Often we invite people to church and want and expect that they’ll feel comfortable in this place where we go to worship as a body of believers. I’ll never forget my friend Joe (not his name) who was having trouble in his home and genuinely looking for answers. So I invited him to come to church with us and he agreed that maybe he’d find something there that would comfort and calm his storm. We walked in together and found a seat. Everything was good. Then the music started and everyone stood up. One song after another and by the middle of the third song, Joe’s eyes were as big as a full moon and it was obvious that he had no idea what was going on. I had not done a good job of preparing Joe for what was going to happen. Joe gave it one more chance, but could not absorb a service clearly aimed at mature believers. To this day I pray that God will have used that experience for good in Joe’s journey. We Christians have this thing we do that is called worship. But what is worship? The first usage of this term is found in Genesis 22 where Abraham took his son Isaac up to the mountain to worship. The word means to prostrate one’s self before a divine being, or in Abraham’s case, to submit himself to the will of God. Other implications include to give reverence to, to pay honor to, to bow down humbly. From these various phrases, we come to understand that when we worship, we are bowing our hearts to God’s holiness and majesty. From this, we see the attitude with which we gather together each week for worship. Worship is more than just the musical portion of the service, yet we have “worship leaders/pastors” who lead only in the music intended for us to sing praises to the Lord our God. I have concerns about this being another area where our terminology is being holy-hijacked by a group of well-meaning people. The worship portion of the service has come to mean the singing of songs of praises to God. The Lord gave us His hymnal in the book of Psalms to show that He wanted us to sing to Him. He tells us to “Make a joyful noise unto the Lord all the earth.” (Psalm 100:1) Many of the songs we sing today contain key phrases from these ancient Psalms. In many churches, we continue our worship by remembering the work of Christ through His death and resurrection, in the act of communion. 1 Corinthians 11:23-26 tells us, “For I received from the Lord what I also delivered to you, that the Lord Jesus on the night when he was betrayed took bread, and when he had given thanks, he broke it, and said, “This is my body which is for you. Do this in remembrance of me.” In the same way also he took the cup, after supper, saying, “This cup is the new covenant in my blood. Do this, as often as you drink it, in remembrance of me.” For as often as you eat this bread and drink the cup, you proclaim the Lord’s death until he comes.” Some churches celebrate communion every week, some monthly, and some quarterly. But nearly all Christian churches celebrate communion as a part of their worship. Bringing our tithes and offerings is another part of our declaring His provision and goodness by returning a portion of the blessings He has given to us. Malachi 3:8 “Will a man rob God? Yet you are robbing me. But you say, ‘How have we robbed you?’ In your tithes and contributions. And in 1 Corinthians 16:2 we read, “On the first day of every week, each of you is to put something aside and store it up, as he may prosper, so that there will be no collecting when I come.” We make a statement of honor and reverence when we return to Him a portion of what He has provided for us. Listening to the teaching of His word, the Bible is another part of our act of worship. Something that those who love God want to hear is what He has to say to us as recorded by those He chose to receive His words through His Spirit breathing out what they should write. 2 Timothy 3:16 assures us that “All Scripture is breathed out by God and profitable for teaching, for reproof, for correction, and for training in righteousness.” Listening to the teaching of Scripture bends our heart and will to His commands and instruction. The worship service was somewhat described in Paul’s letter to the Colossians. In chapter 3 verse 16 he writes, “Let the word of Christ dwell in you richly, teaching and admonishing one another in all wisdom, singing psalms and hymns and spiritual songs, with thankfulness in your hearts to God.” It is interesting to note that at the top of the list is the teaching of the word. When you come to your next worship service keep in mind the many ways that we humble ourselves in reverence to our God. We submit to His word, we remember the work that Christ completed on the cross, we bring our tithes and offerings and we sing praises (most of us make a joyful noise) to our Lord and Savior Jesus Christ. Come let us worship and bow down, let us kneel before the Lord our Maker. 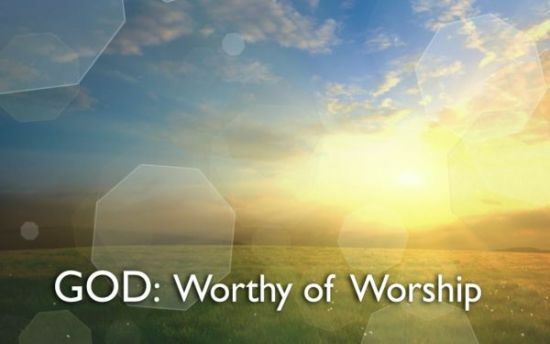 (Psalm 95:6) If God is who we claim He is, He deserves our true worship, adoration, and obedience. There are as many different styles of worship as there are churches. Find a church where the music connects your heart to God and the teaching stays true to the meaning of the Scriptures and focuses on pointing you to Jesus as the author and finisher of your faith. Most of us have heard the term “slippery slope.” We hear it and, in today’s world, we allow ourselves to become distracted because we know whatever follows is someone’s projection of imminent disaster at some future point in time. There are voices from all aspects of the political and sociological spectrum forecasting the demise of society as we know it resulting from an initial tiny step being approved today by some arm of our government. The fact that God is in control gives us great comfort, but we must also deal with the reality that He gives us great latitude in determining our own, and society’s, pace of ethical and moral decline. Refusal to acknowledge the broader and long term implications in favor of a short-term pain point or vocal minority viewpoint, has, over the years, led us to depart from God’s perspective in making our decisions. Because of many of these decisions, the new reality of our world is that we live in a very different world than the one in which many of us grew up. Just yesterday, I was talking with family members about how life was when our daughters were growing up. And, yet, we wonder how we have arrived at the place in our world in which we now live. Why do we feel so much more insecure? We have just purchased cameras for the security of our home? Why are we becoming increasingly concerned about the worldview of our society? Our institutions of higher learning were once paragons of free speech and places where various worldviews could be openly discussed. Today, public speech on our campuses is limited to those who agree only with a narrow band of worldviews. Opinions arising from other worldviews are not given a voice. During the days of the Revolutionary War, battles took place in an open field with opposing forces marching toward each other. Everyone knew who and where the enemy was. The Vietnam War was notable for the guerilla warfare that made the enemy less visibly identifiable. The enemy was not always uniformed military. During this war, the enemy took on the appearance of common citizens. More recently, wars are being waged against invisible networks of people inspired by ideologies that are spread transparently across the internet. I was reading a pre-release copy of a book by Dr. Jeff Myers, “The Secret Battle of Ideas About God.” In his book, Dr. Myers compares the ideological battles of today to that of fighting a virus. Rather than debating specific ideologies, i.e., Islam, Mormonism, post-Christian society, et al, Christians today, must focus on being grounded in a system of truth against which to test all the random values and ideas that are surfaced by today’s various communications media. These inputs can come in the form of commercials, news analysis, headlines, social media, and pronouncements made by high profile personalities. These are just a few. At least part of the danger lies in repeated intake of messages. Being constantly barraged with bad thinking based on invalid worldviews does have an effect. These messages seep into the church. Our Christian friends repeat things they have heard, a pastor says something that sounds right but doesn’t really align with Scripture, a Bible Study leader offers an opinion that is counter to Scriptural truth, a church leans on its own tradition rather than what the Bible says, and down the road we go. Just because something goes viral in social media, doesn’t make it the truth. The slippery slope has begun. I was reading an interview with a former pastor who has been given a credible voice because he wrote a book containing a restatement of an old line of thinking that suggests all will go to heaven because God loves everyone. This interview focused on this man’s perspective on Scripture. He indeed has taken the next steps in the slippery slope created by his new truth system. His view of the Bible is that it is a collection of ideas that have been put together by several human writers, that lead us to think divine thoughts. Rubbish! This is how we stray from the truth. When we declare that truth, as handed down by God Himself, is simply a collection of human ideas that leads us to think of God, we have no truth at all. We’ve begun to slide down the slippery slope. The virus gains a foothold into our immune systems. How can we reverse the slide or stop the viral infection? Is there an antidote? We need to store God’s words in our hearts so that we can fight off the infection of false teaching by recognizing it when it comes to our ears. False teachers will infiltrate even the most Christian environments. After listening to the Apostle Paul, the Bereans would go home and search the scriptures to see if what he said was true. We need to do the same so that we are able to fight off infectious viruses that make us spiritually sick. Perhaps it is time for a good helping of spiritual food that will help us ward off viruses. Psalm 119:11 says “I have hidden your word in my heart that I may not sin against you.” A good place to start. You Won’t Want to Miss This Concert! Did you know how loved you are by God? Do you understand how much he delights in his people? God wants his people to rejoice and be glad. There is a joy and satisfaction that comes from the peace that passes all understanding. There is a calm that he gives his people in the face of trial and trouble. 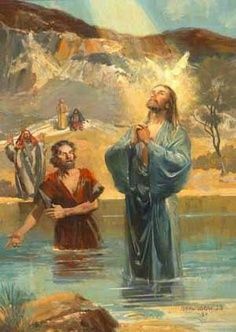 Those things will certainly come our way, but if we give all our worries and anxieties to him he will lead us beside the still waters and will restore our souls. Why does he do this? The Bible tells us he does this because he cares for us. Can you recall the last time he restored your soul? Do you know where to go to have your soul restored and refreshed? You can find safety and solace in the words of Scripture. These words contain his promises and tell the story of how much he loves us. These words, which are actually God’s words, talk of joy in the midst of trials. They tell us that he cares for us like a Shepherd cares for his flock, by protecting, leading and guiding. Pastor Tony Evans tweeted today, “Peace doesn’t mean that you will not have problems. Peace means that your problems will not have you.” God delights in his people and wants them to place all their concerns at his feet and let him work them out. He may work them out by giving you the wisdom you need to navigate a choppy relationship, or he may change the other person’s heart. When we let him work things out we need to remember that his ways are higher than our ways and his thoughts higher than ours. Knowing full well that this world is filled with sin and bad things are going to happen, he wants us to have joy that is unspeakable, or difficult to describe. He delights in his people. He is waiting to help us be his hands and feet here on this earth. He wants us to do good and to feel the inner joy that only he can provide. God is telling us not to fear. We should give all our fears to him. The picture he gives us is not to let our hands hang limp and helpless as we often feel like doing when we are overwhelmed and don’t know what to do in our current situation. If he is with us there is nothing to fear! He is might to save. There is song written by Hillsong that we have often sung in church that our Savior can move the mountains, and he is mighty to save. He will quiet us with his love. Do you remember being quieted by the love and protection of your mother or father? God’s love is so much greater and stronger and more consoling than any of us have ever felt from a family member or friend here on earth. Let your soul be quieted. This next part is so awesome that I am not going to miss it! To have God so pleased with his people that he will rejoice over us with singing! Think about it! If you list all the best singers you could possibly name, then remember that our God made each of them and gave them their talents. Now think about this God, our God, the Creator, so happy with his people that he is going to sing over us! I have friends out tonight at a private concert of a world renown singer. I gave one of my friends my ticket to the concert. But, tonight’s concert won’t be able to hold a candle to us hearing our God singing over us. There are no tickets for that concert. Everyone who has placed their faith in Jesus will hear this concert! No good deeds to be done. The price has already been paid. Place your faith in Jesus and come to the concert! It will be the best thing you’ve ever heard! In times that are filled with fear, uncertainty and doubt, we need to be strong and courageous as God told Joshua over and over again, because the Lord our God is with us and is so delighted with us that it makes him sing. He will quiet us with his love. It is going to be a concert that you won’t want to miss! Where is our confidence? Where is our trust? Jesus said, do not worry about tomorrow because each day has enough trouble of its own. He told us not to worry about what we would wear or what we would eat. Look at the birds of the air and the flowers of the field that are beautiful to watch and to look at. We are more valuable to God than all the other parts of creation. Don’t get all hung up over something that will impress others. Who are you living for and what will all these things do for you? They won’t bring you happiness! Many of us in the Baby Boomer generation are spending a lot of time engaging people who will help us plan to make sure our finances will last as long as we do. Many have accumulated collectibles, homes, toys, etc. that are the result of planning and playing out our personal passions. The proverb says, “Without counsel plans fail, but with many advisers they succeed.” (15:22) And another, “The plans of the diligent lead surely to abundance, but everyone who is hasty comes only to poverty.” (21:5) We need to know that God applauds planning. Our stuff is just stuff. All our collectibles may be good hobbies which keep us active and capture our interest, but the things and money that are the results of our diligent planning are just things. They are inanimate and exist in our lives much like a scarecrow which serves only to scare off the birds that would otherwise eat the fruit of the garden. The scarecrow can’t hear you. In fact if you talked to it, some might begin to wonder about you and your ‘friends’. Let’s not let the scarecrows run our lives. Enjoy the fruit of your diligent planning. Know that the Lord has honored your diligence for a purpose. Consider what he wants you to do with your resources to further his purposes. When we commit our lives to God, that includes our assets and resources. Let’s give it all to him and let God direct our paths. Lots more to say on this subject, but for now, be wary of the scarecrows in your melon patch.